Last week in Old Trafford one of my morning poems became this. 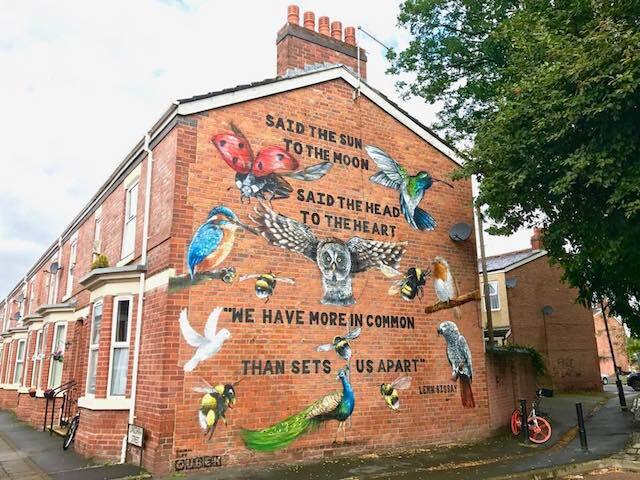 The idea came about through Jess Lishak, Hannah Patterson and the community of Old Trafford and was painted by artist Russ Meehan (aka Qubek and founder of ‘Mural Life’). It’s beautiful.